The Delhi School of Communication (DSC) invites applications for it’s XXVth Post Graduate Programme in Communication (PGDPC). This integrated programme awards PGDPC (Post Graduate Diploma Programme in Communication), along with a Masters in Journalism and Mass Communication (MA JMC)*. The programme also leads to the awarding of two short term certifications from the Media and Entertainment Skill Council of India. Founded in 1995, today the Integrated Marketing Communication programme is considered one of the top line communication programmes in India, and is most sought-after amongst Post Graduate students. The DSC programme covers all the relevant subjects and three specialisations, namely Advertising and Entertainment; Marketing and Digital; Public Relations and Journalism. DSC was started by a group of industry leaders and academicians, who felt a need to align academics with industry requirements. 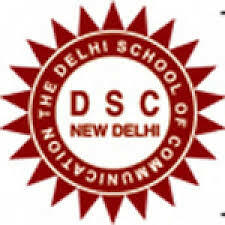 http://www.dsc.edu.in/registration-form/ For admission to DSC, students have to clear either the MAT/CAT examination or DSC’s internal Admission Test. The DSC admission test is of 1½ hrs duration, focuses on basic reasoning, logic, and creative writing skills, in addition to basic knowledge of Advertising and Media. After that, a candidate needs to take a ½ hr Psychological Test, designed to assess a candidate’s creative writing skills and emotional quotient. This year, both the Internal Exam and Psychological Test are available online. Personal Interview is the third and final step towards obtaining admission to PGDPC.